Star Bharat’s new show Ek Thi Rani Ek Tha Ravan puts the light on the sensitive and underrated subject of stalking. The show portrays the fears faced by the girls, who face the constant stalking by the evil eyeing men. 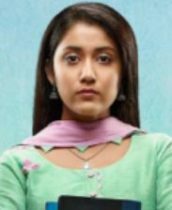 The story is focussed on the main lead Rani, who is very clean-hearted and kind. She believes in humanity. She feels she is stalked. She gets scared with the dark shadow walking around her. She faces a tough time in her college where she gets bullied by the evil men. The negative lead Rivaj always harms people. He has evil intentions and gets obsessed with Rani. He shows his shocking side to Rani. He holds big influence in the city. The docile Rani takes a stand for her pride and rises against the modern day Ravan, Rivaj. The emotional journey of Rani will be seen. The show passes a social subject to empower the women against evil. Rivaj is an evil-minded man. He is very rich, bold and stubborn man. He is a spoilt brat. He is believed to be a Ravan by the people around. He doesn’t like accepting a refusal from others. He just wants things to get done at any cost. He rules the city like a tiger. He tackles people like his prey. He doesn’t care for people’s esteem. He doesn’t believe in making an apology or apologizing to others. He gets obsessed with the simple girl Rani, after seeing a spark in her eyes. He has no value for someone’s feelings, sorrow and relations. Rivaj is a heartless person. He is fierce and gets dangerous at times. Rani is a sweet, simple, innocent and sorted girl. She is a wise thinker and helpful soul. She connects with everyone and values emotions. She doesn’t want any complications in her life. She takes her mum’s advice on almost everything. She lives with her mum and sister. She doesn’t understand the social evils. She always tries to keep her mum’s prestige. She doesn’t want her family to face any kind of troubles because of her. Rivaj enters her life to ruin her down. Rani finds Rivaj targeting her family. Rani turns brave to protect herself and family. Set in Jhansi, the story highlights the biggest fear of women due to stalking. The fear is described in the lives of several women. A similar case is of Rani, who is constantly observed by someone. She stays with her family and is happy in her own life. Rani loves her mum a lot. Rani wants peace and joy. She is very positive. She is hard working and obedient. Rani saves a little puppy and brings him home. She tells her mum that she got him home since he is unwell. Her sister asks her to care for them instead the puppy. Rani cares for puppy’s feelings and asks her sister not to tell anything against innocent animals. She refuses to leave the puppy out, but her mum commands her to make the puppy out of the house. Rani decides to leave the puppy out in a shade. She gets scared when she senses someone’s presence around. The puppy bites her. Rani feels the pain and scolds the puppy with love. She gets a relief when someone showers her favorite flowers on her. She gets delighted seeing the unlimited floral shower. She wonders how are so many flowers showering on her. She runs inside her house in fear. Someone picks the puppy after she leaves and kills. Rani goes to sleep and stays disturbed about the floral shower. She begins her new day with hope. Rani and her sister reach the college. Her sister appears bold and gorgeous. Rani is completely her opposite. She is soft spoken and not to sharp. Rani comes across Rivaj for the first time in college. A girl parks her car in Rivaj’s car parking space. She makes an apology to Rivaj. Rivaj ruins the car right in front of hundreds of people. The girl breaks into tears and apologizes. She promises to never park her car in his space. Even the college authorities fail to do anything against Rivaj, who is like a ruling don. Rani gets ragged in her college. She faces Rivaj and refuses to bow down. She takes a stand for herself. Rani goes to meet her puppy. She gets moved in shock when she finds the puppy hanged to death. Rivaj’s evil eye falls on Rani. The show brings a novel subject. There have been many stories before on women abuse and injustice. This story particularly puts light on stalking. Stalking is also a heinous crime, which is not much reported by victims. Stalking and its post effects are highlighted in the show. People suffering by stalkers and their tremendous ways to stir a fear are presented well in the introduction scene, which clearly depicts the story line. The main protagonist Rani is very close any ordinary girl’s real personalization. She isn’t depicted as brave and smart since the start. Her inner strength will be awakening when she finds Jhansi Ki Rani in her. The story will take us from Rani’s subtle to daring transformation. The character progress will be something interesting to watch. Rivaj’s character sketch will be staying the same. Rivaj is introduced as the modern day Ravan right since the first scene. He is more evil than he appears. His layered evil will be gradually seen. The leads Manul and Ram are doing a wonderful job and playing the portrayals with ease. Ram’s Ravan avatar is convincing. Supporting cast is fairly okay. 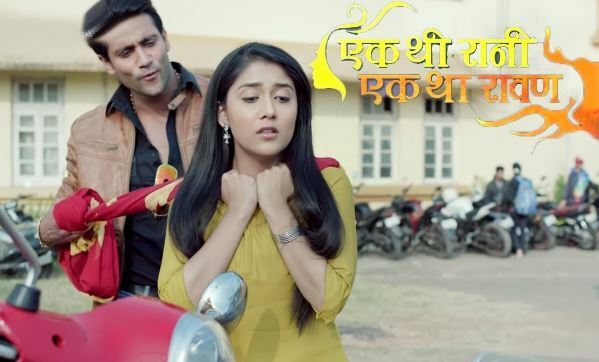 The music score of Ek Thi Rani goes very apt with the storyline. The locales brings the right feel of Jhansi city. Every girl has a hidden Jhansi within, who awaits its exploration, realization and awakening. The social message comes well weaved with the story. A really different and substantial show. Cast is fresh. The show’s story is its USP. It would be a good watch if it keeps the intriguing elements and sticks to main plot. Karn Sangini 28th January 2019 Written Episode Update: What Will Karn Decide? Interesting concept but will it tell the truth of what stalking does to the victim? or will this just turn into a serial love story where the victim falls for the stalker….i ask only because i’ve have had my own issues with a stalker years ago and trust me, there is nothing romantic about living in fear.